Free complimentary empanada with ticket, while supplies last. Additional empanadas will be available for purchase at the event. Join us for a unique night of tango music, dancing, and Argentinian food and culture. 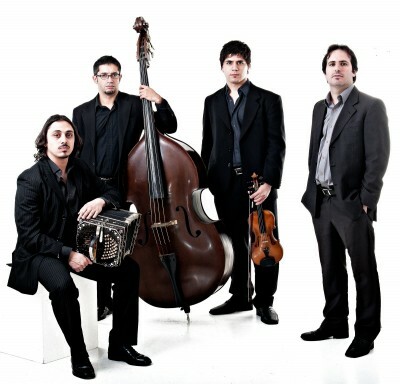 From Buenos Aires, the Alejandro Ziegler Tango Quartet will perform for us a concert, followed by music for dancing. They play classical tango in the style of such famous orchestras as Trolio, Pugliese, Di Sarli and Piazolla mixed with the band’s original compositions.